Humanity is a project of Galaxy-wide organizations that see genetics as the greatest technology of materiality. To this end they have chosen to cooperate in creating an optimum genetic vehicle for consciousness, one that offers the greatest opportunity to experience the creation. Humans have been modified to not process certain frequencies by “deleting” the portions of the brain that would enable them to operate in those frequencies. We lack the ability to see the higher dimensions and planes of consciousness, something that naturally evolved animals still possess. This was done at first for exploitation and suppression, but has been turned around by Source so that after Ascension humanity will unfold into a spiritual butterfly of the most magnificent sort. Ascended humanity is a new template for beings in all parts of the Universe. The inadequacies of the 3D body are overcome after rising into 5D, because the genetic “tinkering” of the “genetic farmers” was intended to be activated in 5D. Humans will be capable of important roles needed for raising the frequencies of many star cultures. It may seem as though there has been a master plan to do this all along, but that is not the case. The original goal of our creation was to have a servant class capable of taking verbal direction in order to extend the capabilities of those who did the genetic manipulation. The ability to be aware of the higher dimensions was deliberately removed, as was the ability to live long lives, much like planned obsolescence exists in manufacturing. As in manufacturing, this is done for the convenience of the manufactures rather than the consumers. It is not only our bodies that have been adapted for the convenience of those in charge, but our souls as well. Earth has been referred to as a prison planet” for good reason. 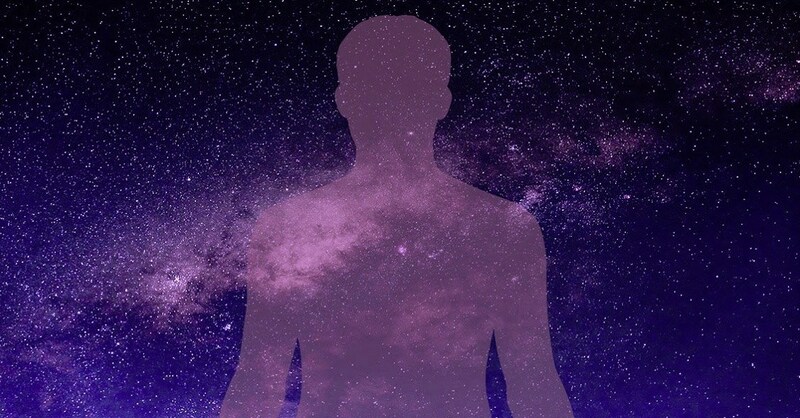 The soul is real and exists independently of matter, but it’s memories of its experiences with matter are subject material forces, and so the advanced extra terrestrial races who have interfered with our genetics have used technology to intervene with our soul’s ability to store and recall memories of our soul’s history. Together these two interventions have made humanity the perfect laboratory subject to craft the perfect vehicle for a Galactic Being. This is true because the soon to occur raising of the frequencies of our planet will cancel these interventions, and the genetic being with its eternal soul will become energized by the frequencies of pure consciousness, able to operate within the Creation using the power of their thoughts alone. Humanity is important to the entire Universe. The plan, begun through service-to-self intention, has been taken over by Source. Choices made for the convenience of those who sought a servant have instead created the ideal vehicle for the expression of the intention of the One Creator. The reason for this is simple. In the genetic template they added passion and emotion to a greater degree than any other being, and by taking away their ability to see higher dimensions left them to seek truth without satisfaction, adding to this they eliminated the soul’s connection to its past. So when the human being dies they are filled with longing, and their soul’s release is powered by a tension unlike that in other beings. In the brief moment of death, the human soul returns to the creator and unifies for a brief moment, but because of so many unresolved experiences, cannot remain with the Creator. This momentary bonding with the creator happens each time a human dies. Although it does not last long, the very fact that it does means that the human soul enters no-time and is in harmony with the entire universe during that brief moment. You can think of this as a sort of soul tempering, a process in which the soul is repeatedly exposed to the harshness of a brief life of uncertainty and them exposed to the intense love of unity before returning to the life of uncertainty. Each time a human soul unites with Source it gains a greater understanding and appreciation of Source and the Creation and a perspective of Unity. Humanity is precious to this Galaxy for at Ascension their vibration will spread across it with a higher loving frequency than otherwise possible. We are the spark of a new Galactic Civilization that offers peace and sovereignty to all. The creation of an ideal vehicle for consciousness has been supported by the Galactic Council, made of all the Civilizations in our Galaxy in all of the dimensions. Although agreement has been present, many issues have needed to be resolved during our long evolution under their guidance. Humanity is now ready to become independent and self reliant, and to begin our mission on behalf of the Creator. For the above reasons, humanity is a gift to the universe and our ascension is well received, and eagerly anticipated.